A boy and his dog on the beach. They look out at the sea in nice weather. 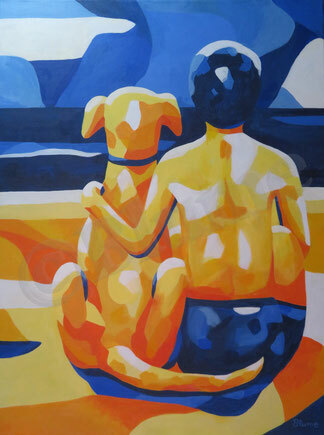 I wanted to convey emotions of community, togetherness, contentment in this painting. My aim was to express a sense of friendship between man and animal, living in the moment and looking ahead with easy confidence.